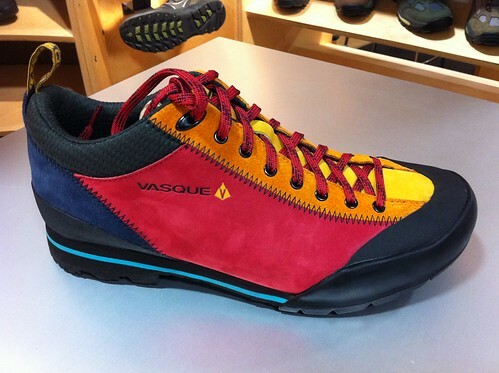 While these shoes are not necessarily promoted as a light hiker, they serve well in that capacity as well. I took them on a three day (was meant to be four days) trek in the Grand Canyon. The trails were very rocky at times. Lots of loose rock made for tired ankles and sore soles as would be the case in any shoe or boot, but the Rift preformed well and like with the shorter trails mentioned above, I was never dying to get these shoes off after a long pounding day on the trail. It’s a good thing, because they were the only footwear I brought with me. With a wide range of colors to choose from, I went with the brown and found these shoes go well with a pair of jeans, Carhartts or climbing shorts. These are comfortable and versatile shoes that work well in every situation. Finally a genuine review. It was certainly hard to find. I was looking at these and the Ranger GTX boots which have some nice ankle support (possibly more than the Rift). But for a more lightweight shoe, the Rift's are great!